What is the Process Approach? The Process Approach is the methodology of identifying inputs, expected outputs, and the process in each action. After identification, a relationship between all of these items is determined. Quality assurance departments and manufacturing personnel perform processes every day. For example, approving suppliers, running quality control checks, shipping products, accepting and delivering products are all processes. As per the 7 principles of quality management set forth by ISO, using the process approach allows organizations to plan processes to achieve their expected outcomes in the most effective and efficient manner, thereby improving the productivity and effectiveness of the organization. Understanding how the different elements of a process interact and depend upon each other can be a crucial step towards streamlining the entire process. The steps in one process may have a direct or indirect impact on the outcome of another process; therefore, the ISO 9001:2015 standard continues to emphasize the process approach. For example, an organization operates an existing complaint portal and also sets up a customer feedback portal. Lack of a proper system in place to filter calls and then forward them accordingly to the concerned department, would result in chaos for both departments, and as a result, for the organization. The process approach encourages proper planning, which in turn helps avoid such problems. To apply the process approach, it is important to first understand the Plan, Do, Check, Act (PDCA) cycle, which helps identify processes and the different ways in which they interact and encourages problem-solving. The PDCA cycle consists of four steps, namely Plan, Do, Check, and Act. Plan: Identify the main players and members involved in the process and identify the inputs and outputs of the process. Check: Ensure that the process is achieving the desired outcomes in the most effective manner. Act: Modify or upgrade the plan to improve efficiency and effectiveness. To help envision how processes interact and to map them out, process maps can be a useful aide. Envision your process in detail by identifying Suppliers, Inputs, Procedures, Outcomes, and Customers. This is only suitable for non-complex, linear processes. For more complex processes, the SIPOC diagram can be used alongside flowcharts to show dependency and interactions. This diagram adds to the SIPOC diagram by allowing the attachment of relevant documents and links to each process that may interact. Turtle diagrams also identify the equipment, owners and evaluation, and quality assurance criteria. The Swim Lane Flowchart allows identification of all the individual actions and responsibilities, making it particularly useful for multiple members or departments involved in the process. 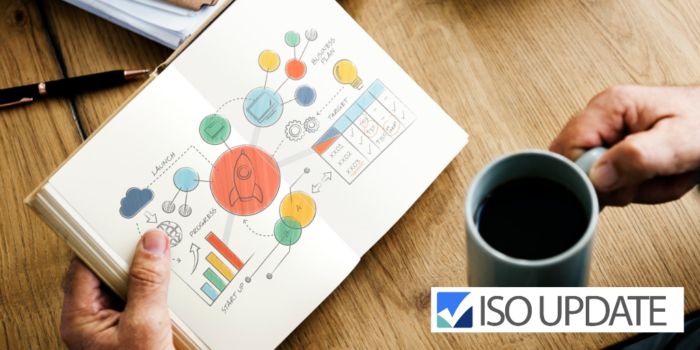 Defining their processes using the process approach and process mapping allows organizations to better define ownership, dependencies, risks, and opportunities for growth or improvement in an easy and efficient manner. This is essential information for the continuous improvement of any organization’s quality management system and for ensuring compliance with the requirements set out by ISO 9001:2015.